The biggest week in the Australian beer calendar is looming large. In just 22 days, the Good Beer Week 2014 Opening Party at The Terminus will herald nine days of awesome beery action across Melbourne and Victoria. With 200 events at 160 venues, there is more choice than ever before â even if many of the events have already sold out. So, to ease the decision-making process, we’re kicking off a series of previews of many of the events that make up this year’s Good Beer Week. 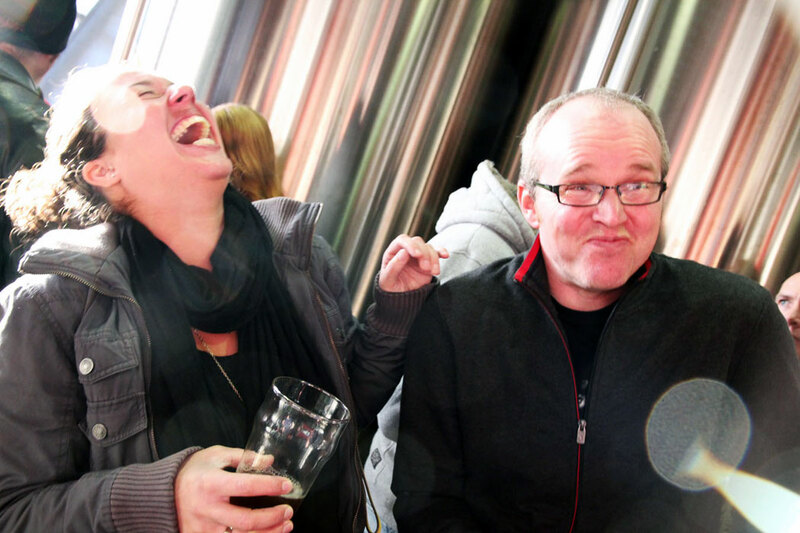 First up, a look at the events that will take attendees inside breweries across the state. Already one of those is sold out â the Masterclass of Madness, featuring Moon Dog and Rogue. But there are plenty more opportunities for people wishing to get up close and personal with their favourite brewers, or even take part in a brew themselves. Bridge Road invited To-Ol (Denmark) and Birra del Borgo (Italy) into its home for breakfast and a collaborative brew. Founder Ben Kraus: They can expect to get a great insight into what we do at BRB, as well as chat personally and ask questions of four brewers, with more than a brewer per 10 people. Along the way, they’ll get to feast on a beer matched breakfast and the chance to roll and bake their own pretzels with the kitchen team. BK: To soak up what we are all about and find out how good life is up here in the hills. It’s followed by a lunch at Provenance. Arranged by one of Australia’s best chefs [Michael Ryan – current Age Good Food Guide Chef of the Year], using regional produce in amazing ways and matching it with world class beers, including some dodgy local ones plus Birra del Borgo and To-Ol. It’d be the perfect stop for anyone traveling by road from Sydney to Melbourne for GBW. The third Cask Off returns to Holgate in Woodend, where it all began in 2012 (see photo at top). Last year, 150 people attended the event at 3 Ravens in what many claimed was the highlight of their week, featuring genuine cask ales served on the brewery floor. Founder Paul Holgate: People can expect to have free range access to an array of traditionally conditioned ales in casks served on âstillageâ â casks tapped and dispensed straight from the cask right in front of you while discussing the beers with the brewers. Ales from Victoriaâs Holgate, 3 Ravens and Red Hill Brewery are on offer plus out-of-towners Young Henrys from Sydney. Additionally your ticket includes LIVE music and a spit-roasted mixed-meat roll on house-baked beer bread! PH: Itâs grouse! Standing around in a brewery amidst all the fermenters, sampling the cask beers, discussing beers and brewing with the brewers, listening to very solid local blues band â40 Thieves Rhythm & Blues Youâ in the hospitality marquee and getting fed direct from Holgateâs kitchen. Itâs an easy trip by train, two minutes walk from the train station. 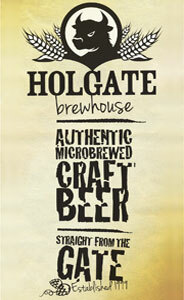 And there’s the opportunity to purchase ALL Holgate beers in the front bar direct from the source, fresh as a daisy! NB Holgate is also hosting Beer & Butchery, an event that starts at the brewery, takes guests by bus to nearby Jonai Farm to learn about ethical farming, finishing with a masterclass in butchery before enjoying some ribs and sausages grown lovingly and fed and nourished with Holgate spent malt grain. The final stop will be back at the brewery with a tour, masterclass on raw materials and tank sampling. With Cask Off returning to where it started, 3 Ravens was keen to create an event that would recapture the magic of last year’s sell out. They came up with this barrel beer (and whisky) spectacular. Nathan Liascos: People can expect a barrel-aged beer and whisk(e)y fuelled day with the brewers and distillers from 3 Ravens, Feral, Moon Dog, Boatrocker and Starward. There will be eight different barrel-aged beers flowing freely all day, alongside a variety of Australian and international whiskeys, a southern style wood-smoked BBQ and live music. The infamous pleasure palace will be transformed into a boilermaker bar where our whiskey experts will help guide you towards creating the perfect barrel-aged beer boilermaker. NL: People should come to be part of this true celebration of all things wood! The communal brewery that is Cavalier opens its doors for the day, inviting in 11 other brewers as well as a host of guests. Heath Shirtcliffe: 28 different craft beers from 12 different microbreweries, all of whom we have either brewed with at their breweries or are now currently brewing in our brewery. There is beer trivia hosted by Pete Mitcham, lots of prizes and giveaways, Peteâs famous 18 hour slow cooked beef brisket (will be a vego option too), meet and greet with brewers, all drinks and food inclusive of ticket purchase, tours of the brewery, four piece live funk jazz band, pick up from Fed Square and drop off at The Catfish, Fitzroy. After eight days of beery awesomeness, it’s time to cleanse your palate. And what better way to do it than by sampling some of the world’s finest sours amid the tanks at Boatrocker Brewery. Founder Matt Houghton: The Boatrocker “Palate Cleanser”, is a showcase of some of the world’s best sours, mainly Belgian, with the likes of Rodenbach, Cantillon, & Boon, with a little local flavour as well. 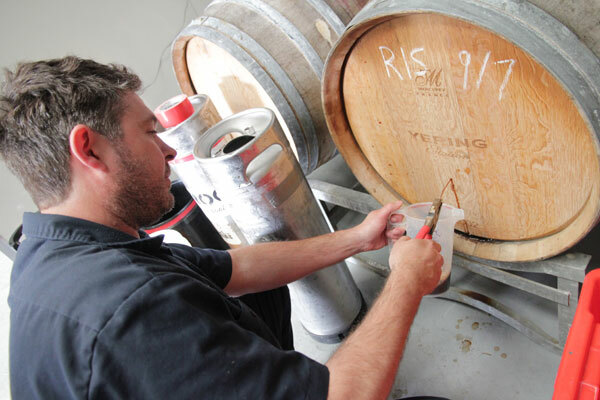 We will be giving tastes directly from the barrels of our sour range. These are developing exceptionally well, and will provide an insight into the ageing process and how the beer matures and changes. We will also be showcasing our Berliner Weisse, “Mitte”, now in 750ml bottles. On top of all these amazing sours, we’ll also be providing samples of our non-sour barrels, plus the ever delightful Ramjet. All this, on an intimate long table down the corridor of our brewery, with matching food. MH: For $60 per head, it’s exceptional value, educational, and features world class beers. The head brewer from the world’s oldest brewery, Germany’s Weihenstephan, has already created one collaboration with Melbourne’s Temple â the Unifikator. He is back in town and will be creating a second collaboration at the brewery â and you can be part of the experience. Head brewer Glenn Harrison: People can expect a once in a lifetime opportunity to experience a brew day with Frank Peifer and myself (maybe not as big a selling point!! 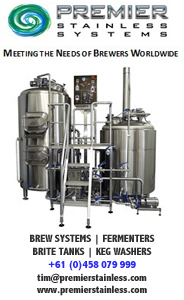 ), brewing a new, exclusive beer and listening to us talking and interacting with the customers via wireless microphones while we brew – answering questions throughout the brewing process. GH: Punters will be treated to a selection of food throughout the day – a mixture of both Australian and German cuisine. Temple and Weihenstephaner beers will be available on tap all day too. Not only do punters get all this on the brew day, but they get to come back three weeks later for another day to taste the collaboration brew paired with a meal. Both days including food costs only $129. One of the rising stars of the Australian beer scene invites America’s Stillwater into its Mornington brewery to create a beer and you’re invited along too. 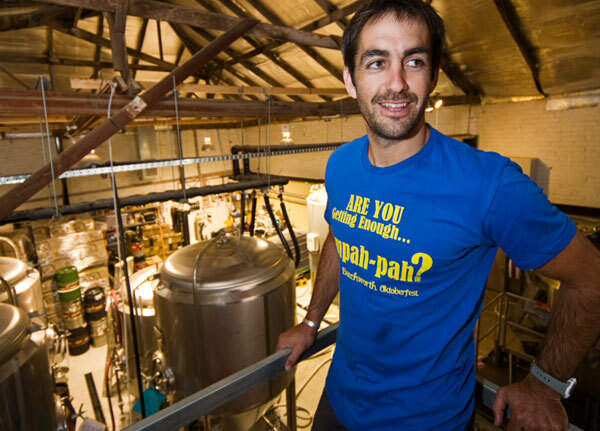 Mornington Peninsula Brewery will also be hosting its annual GBW Craft Beer Festival on the closing weekend too. Michael Chaffe: The Collaboration Brew Day will see [head brewer] AG and Brian [Strumke] come together to make a beer from scratch at our brewery in Mornington. Beers from both breweries will be on tap to taste and food is provided too. Half of the tickets are sold so get in early! The Mornington Craft Beer Festival has run every year for Good Beer Week and sees us getting some of our favourite Australian beers on tap from around the country. Free entry and open for all of our regular bar hours, this event has always been a blast. Other Bird Danielle Allen: A cruisy afternoon to get you through your Saturday afternoon and ready for your Saturday night! 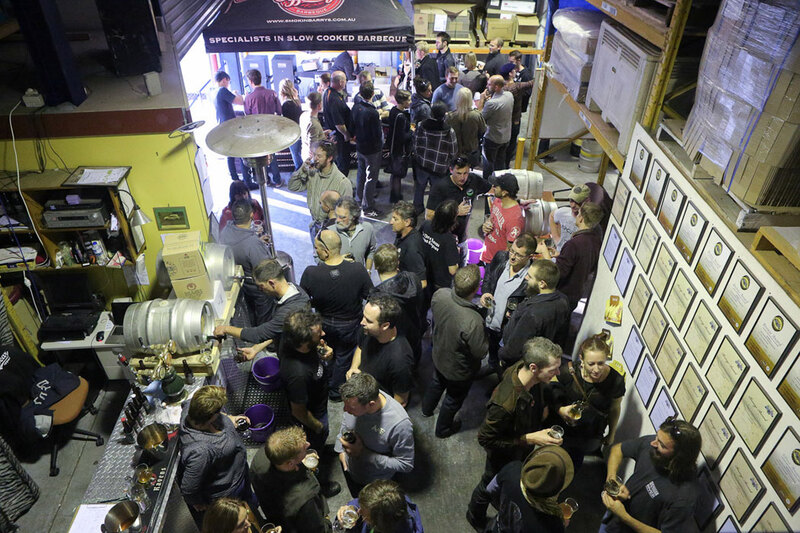 You can try up to 12 beers from some of the coolest breweries and bar owners from around the country and NZ… who all happen to be our good buddies! Two Birds house party! DA: Punters should come along as it’s officially the first ever event at The Nest and the first time we actually open the doors to anyone!! You could call it a ‘soft launch’ or a ‘trial run’, either way, we’re pretty pumped and supremely nervous. So much more hard labour to be done in the coming weeks and then a massive clean up. Fingers crossed we pull it off. You can also look out for a beer vs wine dinner at Black Dog where the brewer has also made all the wines on the table.